At first a policeman tolerates Eva Schippers’ intervention SQUARE EMERGENCIES on the Charles Bridge. 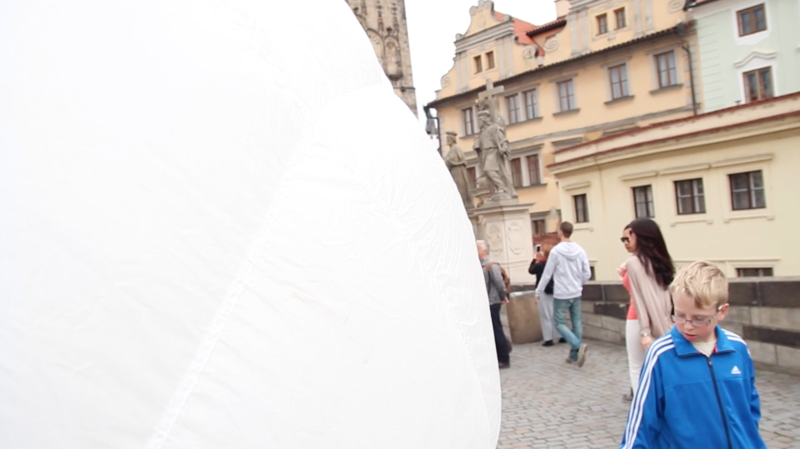 People are passing by, looking at the big balloon; occuping their space and finally wiping-out the image. 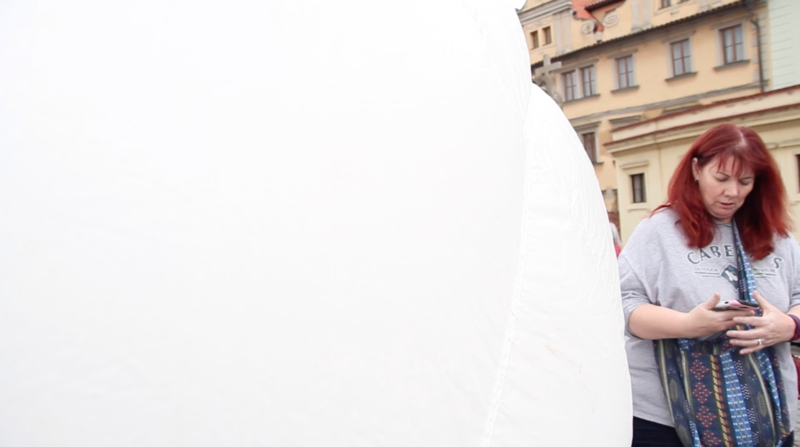 NOTE: The policeman tolerated the intervention for 20 minutes, then he felt that is was enough and the balloon had to be deflated.